The micro plates are produced, labeled and packaged completely under clean room conditions. The process chain is completely controlled – from good receipt till final packaging. Highest quality and product performance is guaranteed due to in-process-, hygiene- and function controls for each lot. 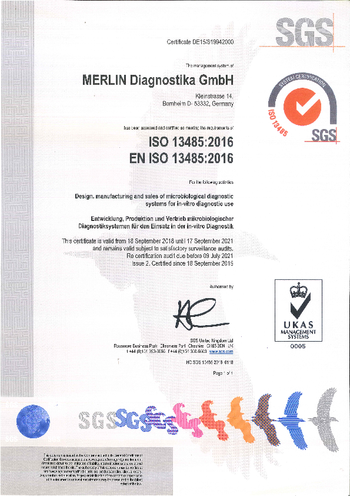 Our quality management system is governed according to DIN ISO 13485, proven by the auditing firm SGS-International Certification Services GmbH. All human medicine diagnostics are marked with IVD-CE according to the European guidelines.